A blog is a place to express ideas, thoughts, recipes, and whatever floats your personal boat. At 10,000 Birds, readers who haven’t been here before might correctly surmise that this platform talks about anything bird-related. As for myself, since I live in Costa Rica, I usually put the focus on birding and/or birds in this small yet very bio-rich country. Today, I will indeed follow that rubric but since a blog also acts as a place to air your sentiments (and grievances if you celebrate Festivus), as well as a stage to bare your soul (if you really want to go that unadvised route), on this day, I can’t help but make some confessions. 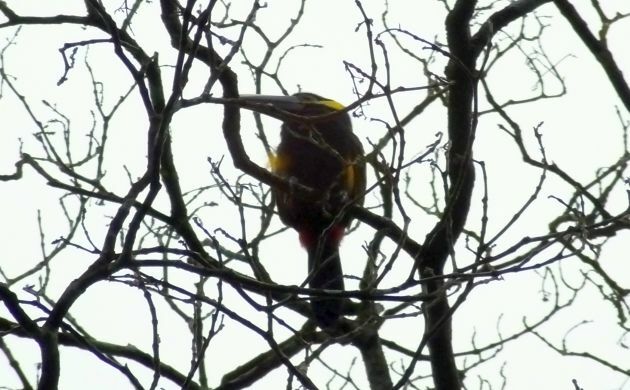 Yellow-eared Toucanet was a good choice for official count bird– We didn’t see one but others sure did. Several. Believe it or not, some long-time birders in Costa Rica downplay toucans. It’s not that they don’t like them, it’s just that most are fairly common and tend to grab the spotlight when you still need to focus on much rarer, less colorful species. Not so for the Yellow-eared because that fancy one is one of the rarer species. 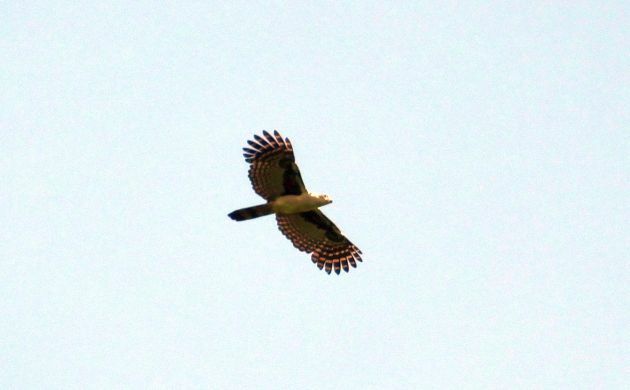 Two or three counting teams connected with this coveted bird, I think one team saw like seven of them! I like getting up before dawn…as long as skies are clear and owls are calling– Yep, nothing like hearing the alarm at 3 in the morning after a night of shallow sleep. 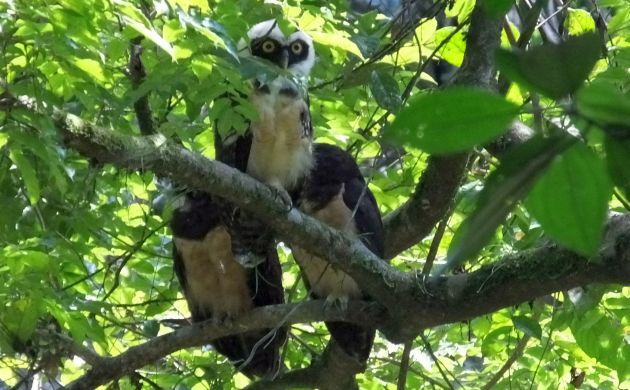 However, if the stars are out and Spectacled Owls happen to be calling at Finca Luna Nueva, you won’t want to go back to sleep. We didn’t and between that time and dawn, we heard another pair of Spectacleds, heard several Mottled Owls, and caught up with the calls of a Black-and-white Owl right as dawn turned on the daylight. I like doing the same route– Each year, the count organizers ask me if I would like to do another route. It’s tempting, there are several that access fantastic habitats where I might see a rare Lovely Cotinga or some other choice bird. I always decline, though, because the habitat on our route is just as fantastic and since we have done it each year, I like to see how similar or different the count goes. Not to mention, identifying more than 160 species in one day this year will probably also keep me there in 2018. 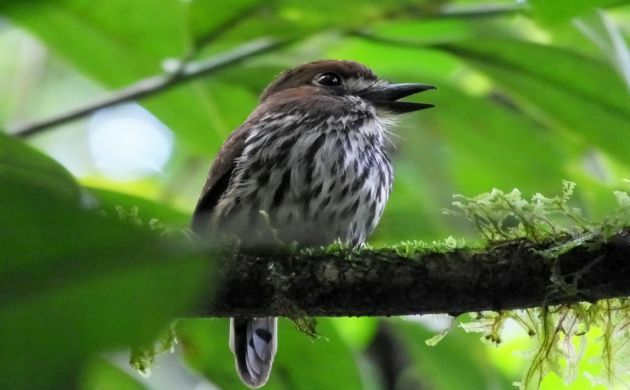 Other advantages are doing the count at one of Costa Rica’s hidden birding gems, Finca Luna Nueva. In being an organic farm that also protects mature lowland rainforest, this is one heck of a birdy place (and the food’s not bad either- actually it’s unique and wonderful)! As with other years at Luna Nueva, White-fronted Nunbirds showed, we heard a Uniform Crake, and had more than a hundred species before noon (none of which were waterbirds). Unlike other years, we didn’t see as many warblers, and had far fewer parrots, motmots, and some other species compared to previous counts. On the other side of the coin, we did have more White-flanked Antwrens and Streak-crowned Antvireos; two species that depend on mature forest and could be temporarily increasing at that site because of warmer weather. We also had a displaying pair of Gray-headed Kites. They called and flapped around like giant butterflies above Luna Nueva (wowzers!). 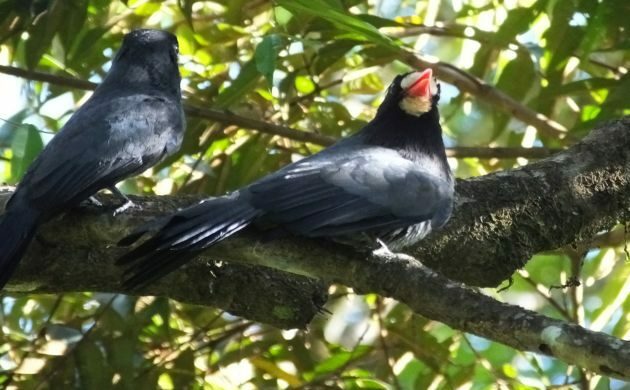 The nearby Texas A and M Soltis Center acts as the other part of the route and is even more exciting because it gives us access to an area of foothill forest that hosts Bare-necked Umbrellabird, tanagers, and many other forest species. Although there was no umbrellabird for us, we did see Bicolored Hawk, Rufous Piha, enjoyed the gnome-like antics of Song Wren, got some antbirds, and saw several other cool species. Oh yeah, and the best was the only Lanceolated Monklet of the count! The Lanceolated Monklet is a living plush toy. This makes it super cute but also a real pain to see. I’m annoyed with the Great Jacamar– It might be honestly great but seriously, isn’t it about time you made an appearance? This is the deal- for the past two years, we have heard something call that sounds sort of like a Great Jacamar. For lack of another legitimate candidate, it probably is but since it vocalizes only a few times in the distance, hasn’t been seen, hasn’t given the Great Jacamar’s cat-like call, and is a very rare species in Costa Rica, I just can’t make myself count it. I don’t feel like the “observation” is 100% so once again, this year, it didn’t make it onto the list. I really need to go back there and figure this thing out. The count organizers and participants are awesome– On a completely unnanoying note, it might sound corny but both the people who organize the count and the ones who participate in it get my awesome award. Year after year, they take a lot of their personal time and energy to make this cool bird count happen, it helps get more people into birding, adds to bird data for the Arenal area, and, most of all, it’s a wonderful excuse to share some serious non-stop birding with fellow members of the birding tribe. I probably have a few other confessions to make about the recent count but since that would probably be petty stuff like hating on my rubber boots, the temptation to string a Tennessee Warbler or two into an Orange-crowned, or that I really like the refried beans at the count dinner, I won’t mention them. I will confess that I am looking forward to more Christmas counts, maybe not the 90 degree plus Carara one, but definitely ones that give me a chance for some kung-fu birding in cloud forest and remote spots up north. Bring on the end of the year birds, hope to see you in Costa Rica! That is a terrific report. I spent two full winters in Costa Rica and this makes me long with nostalgia. Thanks Brian, I know what you mean, hope you can bird down this way again some time. Yes, I hope too the brain can bird down soon. Lanceolated Monklet? Wow. Sounds like an incredible count this year. As someone who’s worked the same route with you, I can attest to its wonders. Just think, if you were still living up here, you’d have been CBC scouting in the snow! Both us and the count organizers were pretty happy to get the monklet especially because it was the only one for the count. It was on a spot higher up on the trail at the Soltis Center. Yes, glad I’m not scouting in the snow although my daughter would love it! Is the American Bird Conservancy Threatening Us? Where Are You Birding This Fourth Weekend of December 2017?